The River Fal Visitor Information Centre (FRVIC) in Falmouth is reporting a record-breaking summer. The centre on the Prince of Wales Pier was re-opened by Cornwall Ferries on August 1 after the former Tourist Information Centre (TIC) was closed by Cornwall Council as part of its cost cutting exercise. Since then FRVIC manager, Nicola Kneebone and her team, including volunteers, have welcomed over 27,000 people through the doors, dealt with 1,500 phone calls and responded to 250 emails to the end of September. The team has also boosted the local economy by over £7k after taking 55 accommodation bookings. Nicola Kneebone, FRVIC manager, said: “We’re delighted to be part of such a success story. “Visitor numbers are up on the same time last year’s TIC figures, which proves how essential this service is to Falmouth. The team hopes to gain continued support from the private sector by launching its new 2012 membership package. 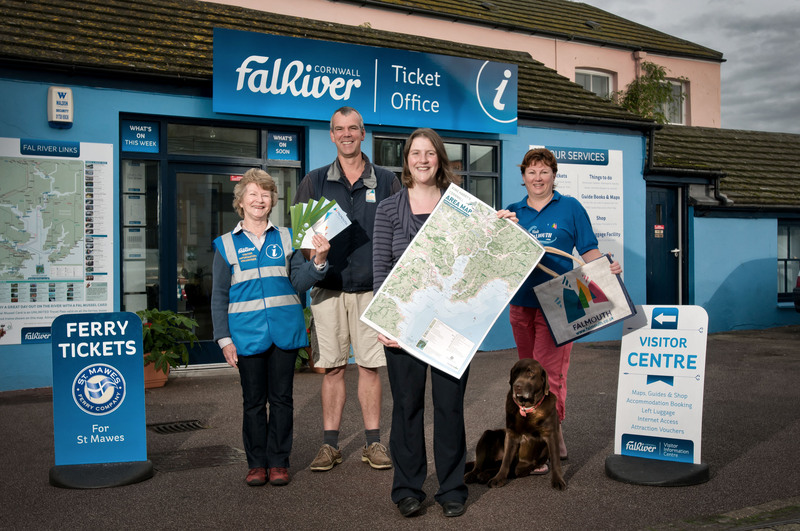 Other initiatives will see the team produce a new Falmouth guide in conjunction with Falmouth Town Council and produce an updated website for members.